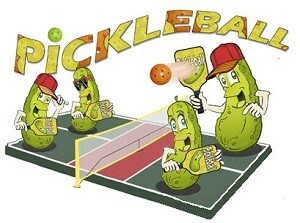 There will be a pickleball referee training session on May 22nd from 1 to 3pm in the Kino Center Conference Room. Please also be available to practice refereeing during the round robin on May 23rd at 7:00. Please click here to register. The pickleball referee training session will be limited to 12. Accepting experienced and new referees for this training session. The QCPC Wednesday Round Robin start time is changing on May 23rd to 7 AM. Check-in will begin at 6:30 AM. Be ready to play at 7 AM. Lenny Friedman, Green Valley/Sahuarita USAPA Ambassador asked me to post this message. I recently read a Facebook post about playing pickleball with a spouse. It seems one partner was giving his or her spouse a pre-tournament try-out before deciding if playing together would work. Read the article here.